← Fountain Hills Farmers Market/Art on the Avenue Kicks Into High Gear! 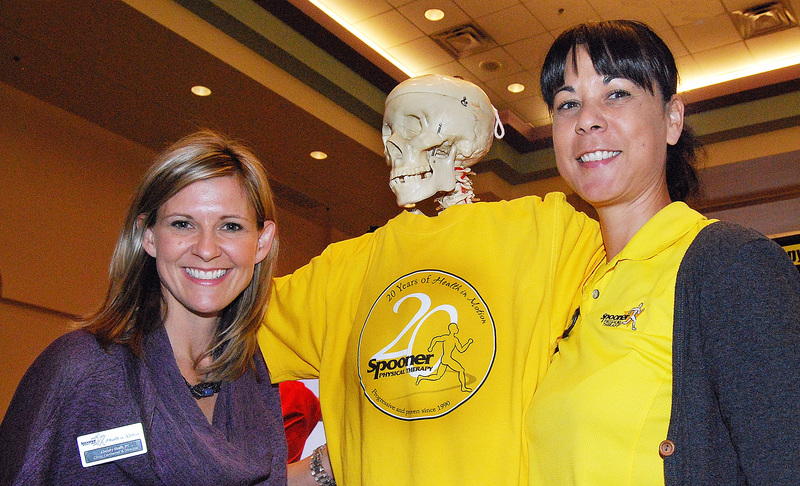 Employees of Spooner and Shaft Physical therapy offer free massages…come down to Business Expo on Wednesday Jun 25. For area residents this popular event is an opportunity to find local businesses, from seamstresses to personal fitness guru’s to medical and dental services. Home-based business as well as service and retail members will provide information and consultation. Attendees will receive tickets for prizes that will be given away between 5:30 and 6 p.m. Winners must be present to win. The Expo is held in the Community Center Ballroom from 3-6 p.m., and is open to the public. 1000 to 1200 people are expected to come out to celebrate and support our local business resources. This entry was posted in Area Events, Clients, Customers, Friends & Family and tagged Business Expo, Fountain Hills Chamber of Commerce. Bookmark the permalink.